I’m pretty sure that you are familiar with the characters known as ZooZoo’s. These are tiny cute looking egg like creatures used to promote Vodafone during the Indian Premier League Season 2 (IPL). Well, you can also see some ads these days even though IPL2 got over long time back. Ok, so if you like ZooZoo’s, well everyone does these days, you can download the ZooZoo 2010 calendar. 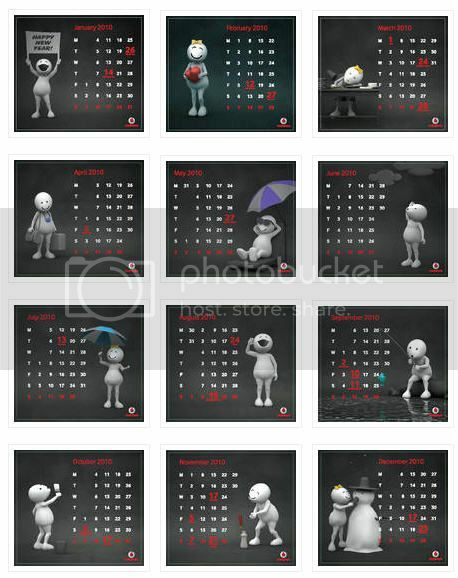 Every month in the calendar features a ZooZoo that describes the month on the basis of occasion, season, etc. Orkut and Google Plus Comparison. Did Google Plus Interface Evolve from Orkut?